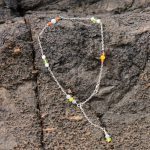 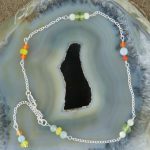 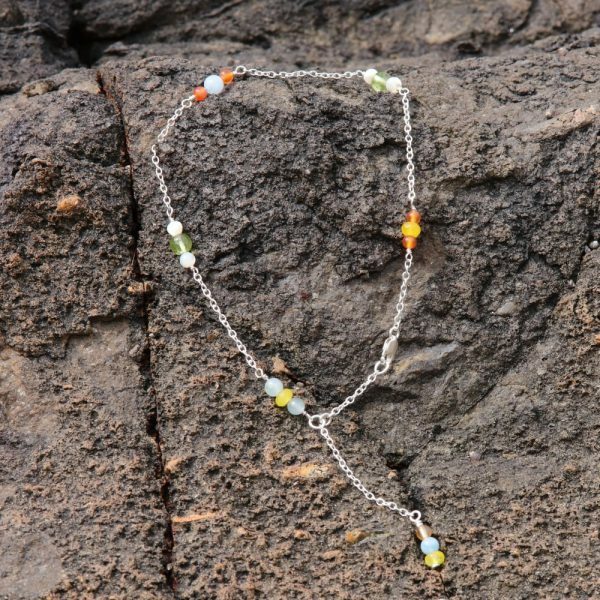 Delicate anklet, punctuated with a mixture of tiny semi-precious gemstones on a fine trace chain. 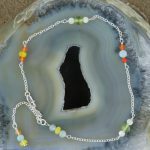 Can be worn at 22cm or 25cm length. All metal is 925 Sterling Silver. 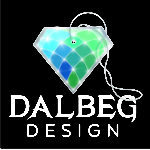 Unique silver jewellery and accessories, inspired by the wild beauty of Dalbeg Beach.